The Department of Health of Jharkhand, India, is using the mSakhi mobile app as part of its ambitious program to screen clients in Ranchi district for noncommunicable diseases (NCDs) with a focus on hypertension and diabetes. One in four Indians is at risk of dying prematurely—that is, before the age of 70—from an NCD, according to the World Health Organization (WHO). India is the first country to adapt the WHO’s global monitoring framework to address NCDs by developing specific national targets and indicators to reduce the global number of related premature deaths by 25% by 2025.
mSakhi, which is developed by IntraHealth International, was originally designed as a job aid for frontline health workers in rural India. In Jhansi, which lies in the adjoining state of Uttar Pradesh, hundreds of community health workers called ASHAs (or accredited social health activists) have been using mSakhi to update their skills, stay in touch with their supervisors, and track and report crucial data about health issues in their communities. They also use the app to refer clients to specialists and teach new parents how to protect their babies from infection or dehydration, how to breastfeed, and how to identify symptoms of serious illness. 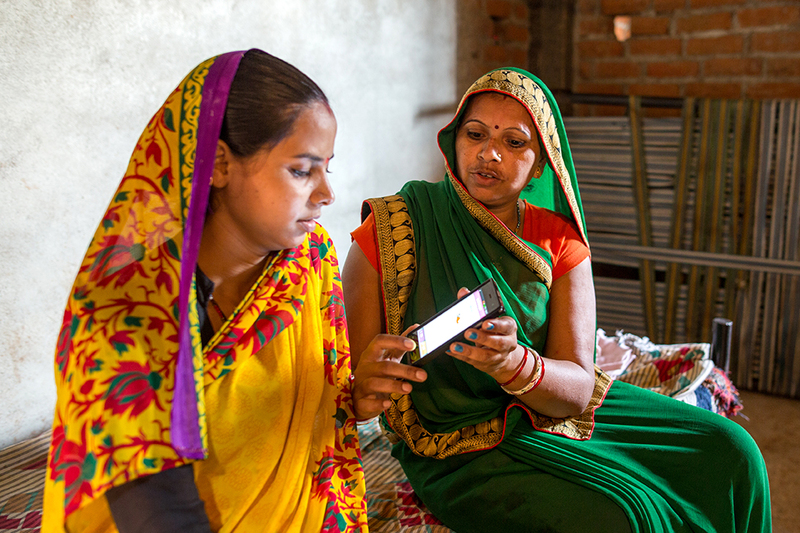 Prompted by mSakhi’s success in streamlining and monitoring maternal and newborn care in Jhansi, the Jharkhand Department of Health decided to use the mobile app in Ranchi to screen clients over 30 years old for diabetes and hypertension. Forty-seven ASHAs are now using mSakhi on their smart phones to keep records of clients screened, their results, required treatment after screening, and follow-up visits. These records are being shared with the district and the state health department to help streamline health services. In a country like India, frontline health workers such as ASHAs are the first defense against health threats in their communities. The primary health services they provide are crucial to addressing NCDs, which kill 16 million people each year. mSakhi for Noncommunicable Diseases (CAF America/Medtronic Foundation Health Access Grant Program) is funded by the Medtronic Foundation. mSakhi (sakhi means “a friend” in Hindi) is an all-in-one job aid and electronic medical record system that replaces multiple paper-based tools and helps health workers gain access to the most up-to-date training and information in easy-to-understand, convenient formats that work for them. IntraHealth originally developed mSakhi with support from the Bill & Melinda Gates Foundation. The Margaret A. Cargill Foundation is currently supporting IntraHealth’s mSakhi work, which was also earlier supported by Qualcomm Wireless Reach.